Yet another many-sided project for the Federal Highways Administration that included 3.0 miles of mainline roadway improvements such as asphalt pulverizing, culvert installation, ditch reconditioning, and asphalt paving. work that required precise scheduling and careful safety considerations. DLM also repainted a historical bridge leading up to the old mine dredge site of Yankee Fork. and our subcontractors worked together to create a 100% containment system around the structure while removing the existing coating and installing the new coating system. This was a paramount concern, since the Yankee Fork of the Salmon River is a valuable habitat for spawning Chinook salmon. 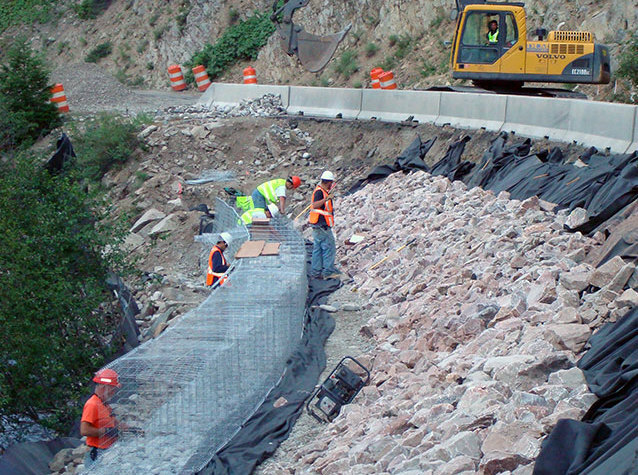 Guardrails, Shotcrete, Bridge Deck Work, Pullout/ Parking Areas, and many others items were included as part of this project. The schedule on this project was tight due to the short summer season at this location. Close to Stanley, Idaho, the climate quickly changes to winter conditions. DLM was able to complete the project within the original schedule which delighted the local public and the mining workforce that traversed the project daily.